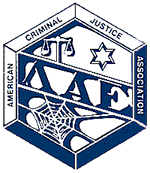 LAE is EKU’s student chapter of the American Criminal Justice Association. The main focus of LAE is to provide opportunities for students to advance their careers by networking with criminal justice and police professionals and learning more about the professions. Members of LAE travel to yearly regional and national conferences where they participate in competitions against other criminal justice organizations, learn about the latest information in criminal justice and police studies, and meet with professionals in the field. LAE’s activities include meetings twice a month, participating in campus events, hosting guest speakers from agencies like the FBI, ATF, DEA and Secret Service, and taking tours of police training academies, prisons and forensic crime labs. For more information contact our faculty advisors, Betsy Matthews. Alpha Phi Sigma is the Criminal Justice and Police Studies Honor Society. As a service organization, its goals are to promote academic excellence and instill a sense of responsibility for the communities its members will serve after graduation. Alpha Phi Sigma members also attend national conventions each year, which gives them the opportunity to network and make lasting friendships that will help them after graduation. For more information contact our faculty advisor, James Wells. The genesis of NABCJ was a historic conference on "Blacks and the Criminal Justice System" hosted by Dr. Charles Owens at the University of Alabama in February of 1974. At the meeting, Dr. Bennett Cooper, then Director of the State of Ohio's Department of Rehabilitation and Correction, called for the creation of a permanent national organization that would focus on the goal of achieving equal justice for Blacks and other minorities. To act upon the needs, concerns, and contributions of African Americans and other people of color as they relate to the administration of equal justice. The National Association of Blacks in Criminal Justice is a multi-ethnic, nonpartisan, nonprofit association of criminal justice professionals, students and community leaders dedicated to improving the administration of justice. Thirty-four years later, the NABCJ-EKU student chapter was chartered to connect students with others interested in examining and acting upon the needs of diverse populations employed in both the public and private sectors of the criminal justice system, and to participate in the eradication of injustice in the American justice process. Membership is open to all EKU students who share a concern for improving the criminal justice system and its impact on diverse populations. NABCJ-EKU was the first NABCJ chapter established in the Commonwealth of Kentucky. To sustain a multi-ethnic student organization dedicated to issues of diversity in justice and safety. 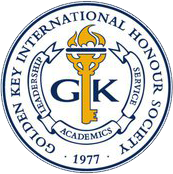 Golden Key International Honour Society (GK) is the largest collegiate honor society in the world! 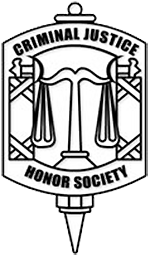 Membership into the Society is by invitation only, to the top 15% of college/university sophomores, juniors, seniors and graduate students, in all fields of study, based solely on the objective criteria of their academic achievements. The Society offers members valuable opportunities for individual growth through leadership, career development, networking, and community service. GK officers and members are eligible to attend regional and international conferences at little or no cost. GK also offers numerous scholarships and awards, available only to members, as well as special discounts with partner companies. In addition, GK offers career benefits through the GK job board as well as access to internships and full-time positions from GK’s corporate partners. Membership in GK’s honor society also allows for accelerated placement in US Federal Service jobs. GK activities include meetings twice a month, open-houses, book drives, honorary member luncheons, and other activities. We also have some exciting and interesting fund-raising and service projects planned for this year. Want to stand out from the rest of the crowd at graduation? By joining GK you will be provided the opportunity of being able to wear the GK gold stole at your graduation. Do you want to get involved with GK? If so, please go to their home page at www.goldenkey.org or contact Dr. James B. Wells.